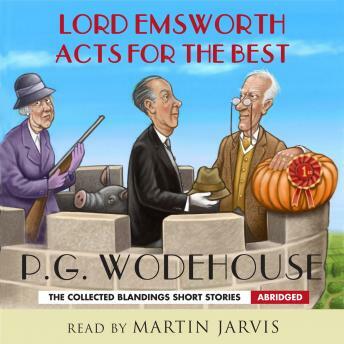 The Collected Blandings Short Stories. Blandings Castle is the home of Lord Emsworth, who likes nothing better than to potter at home in his enormous castle garden. But his rural idyll is once again set to be disturbed in these nine hilarious fables. No peace is possible when his sister Constance is let loose, and she is constantly trying to reorganise the household and its inhabitants! Without great success . . . The nieces are unhappy, McAllister leaves at a difficult time, and then The Empress of Blandings - Emsworth's prize pig - goes off her pig-food! Put all this against the continuing complicated love affairs of Freddie Threepwood, not to mention Lord Emsworth's own love interests, and the stage is once more set for classic Wodehouse hilarity!